Abbie Strong looked out the back window of her home to see if any whitetail were at the corn pile she and her husband had created one recent morning. She didn't see any deer, but she was just as excited to see a hog, which she dispatched with haste. 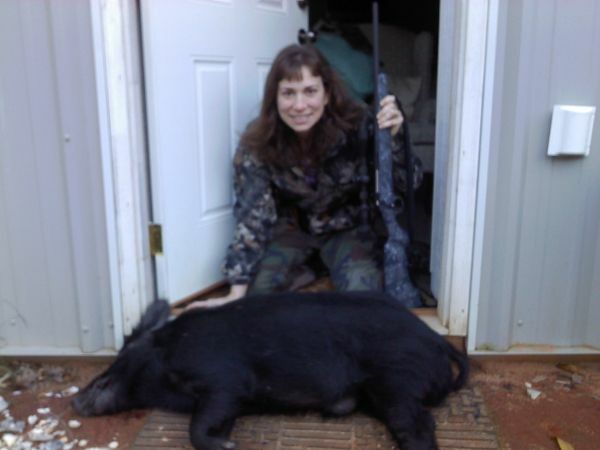 It's the first hog she has harvested. Strong put a single bullet behind the hog's ear, then hauled it to Peach Orchard Processing in Dalzell to made into food for the holidays.